3 | 1158 students enrolled. 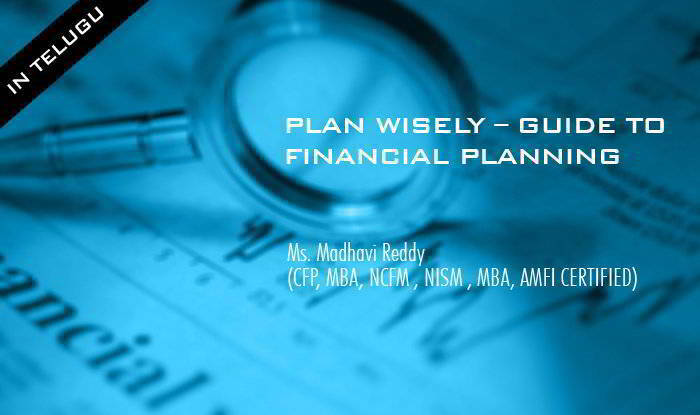 This is a perfectly designed Financial Planning course in Telugu by Madhavi Reddy which will help you make sensible decisions about money that can help achieve your goals in life. The courses discusses about Stock Market, Mutual Funds, Systematic Investment Plan (SIP) and the importance of Financial Planning. It has been explained in the regional language in a very simplified way so that the participants take right decision in fulfilling their goal. Its objective is to ensure that participants in the stock market have adequate knowledge of the stock market and mutual fund, and also create an attractive and safe environment for investment. It also provides a guidance to how to do financial planning for various segments like newly married couple, child’s future, retire planning etc. This course is designed to make one understand the topics like pension schemes, financial planning for the future, and likewise. It helps meet the growing demand for equity traders, investment advisors, business developers, client relationship managers and entrepreneurs in the industry and individual investors (including house-wives, investing a part of their savings in the stock market).